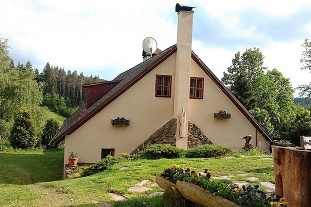 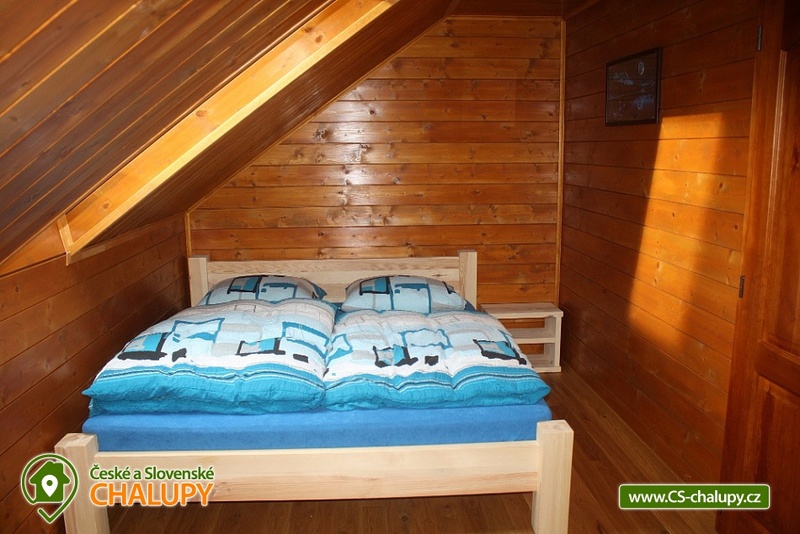 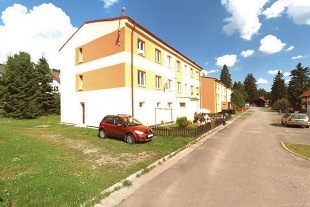 Rent cottage Rajské údolí - Běšiny - Rajské. 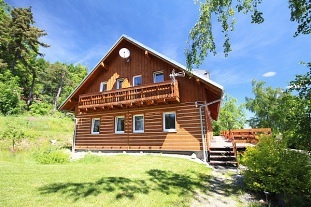 Accommodation comfortable cottage Rajské údolí, locality Nemilkov and Čachrov. 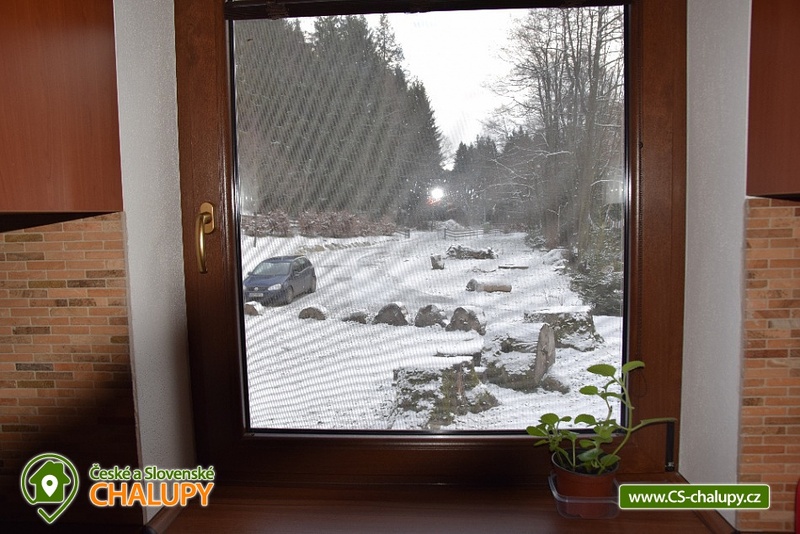 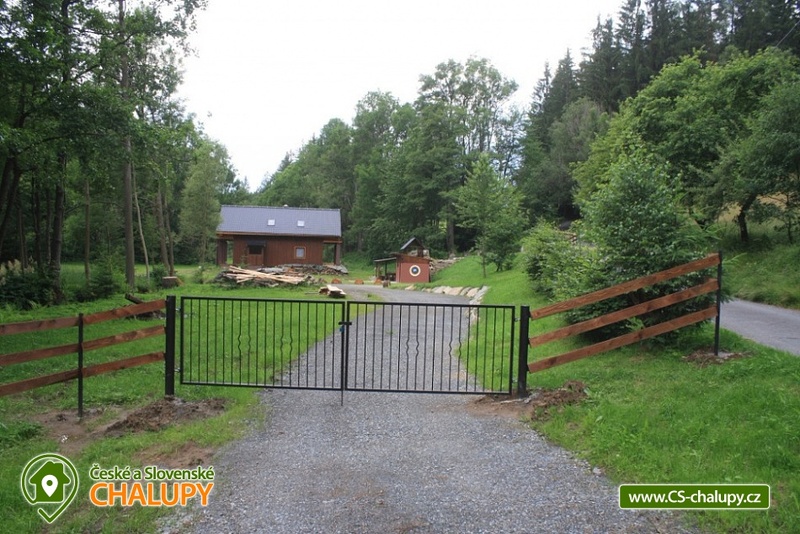 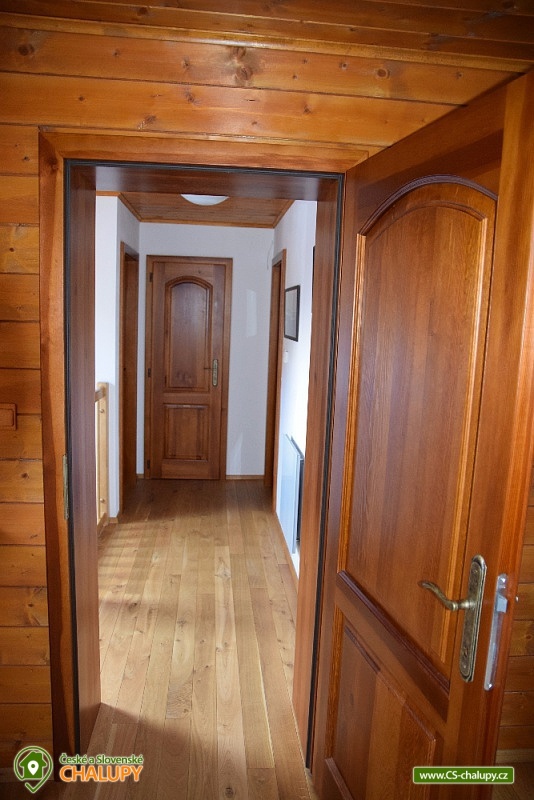 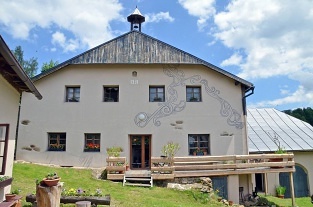 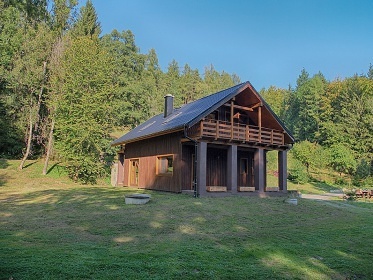 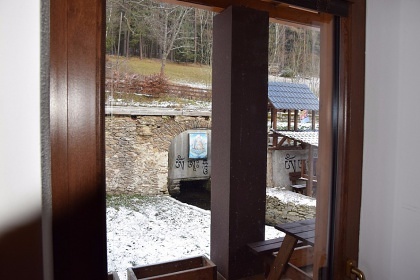 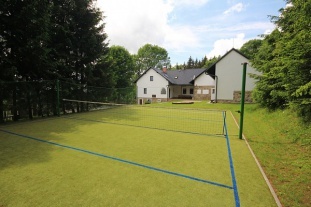 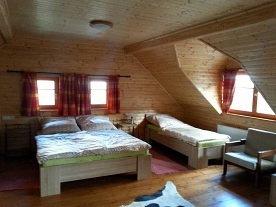 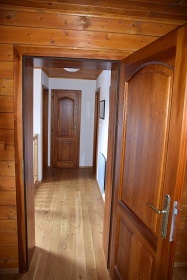 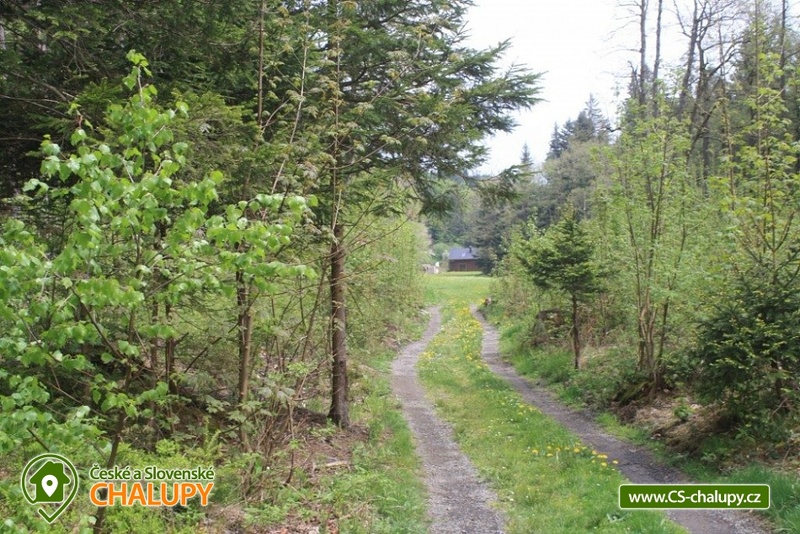 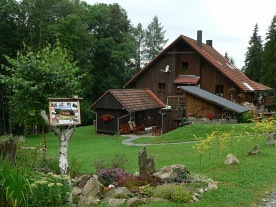 Cottage for rent Šumava. 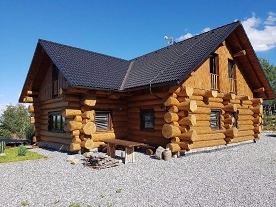 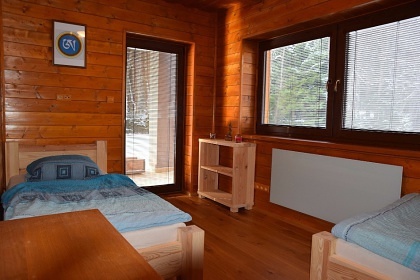 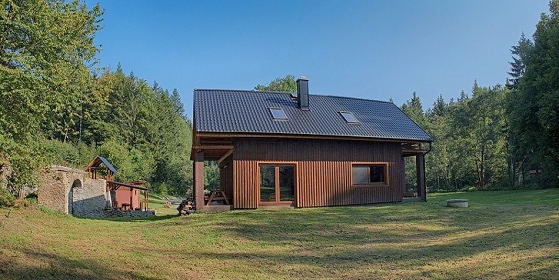 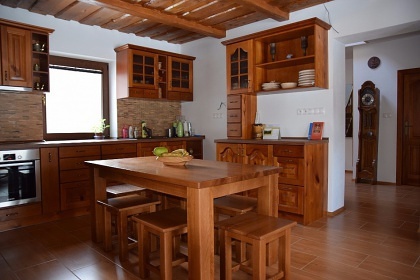 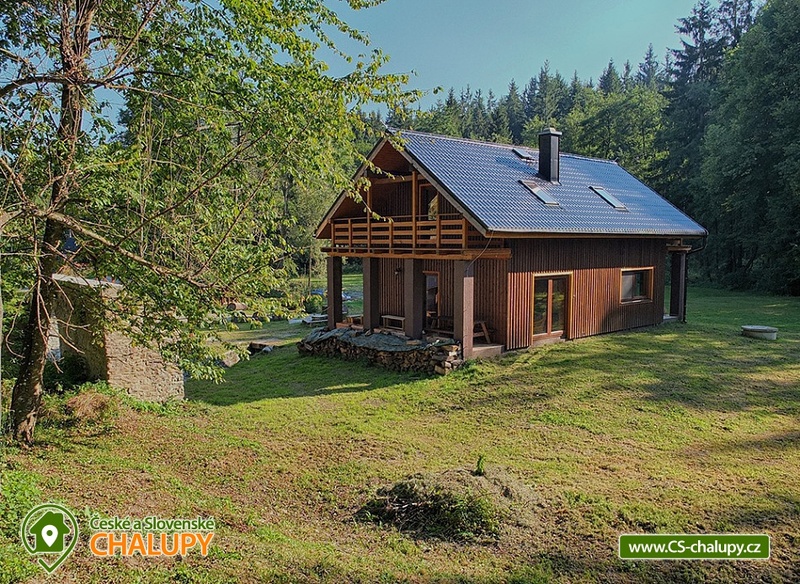 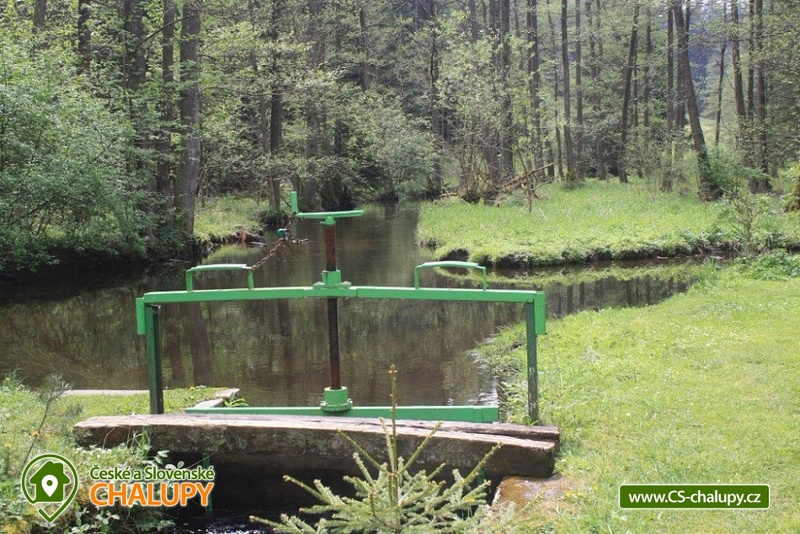 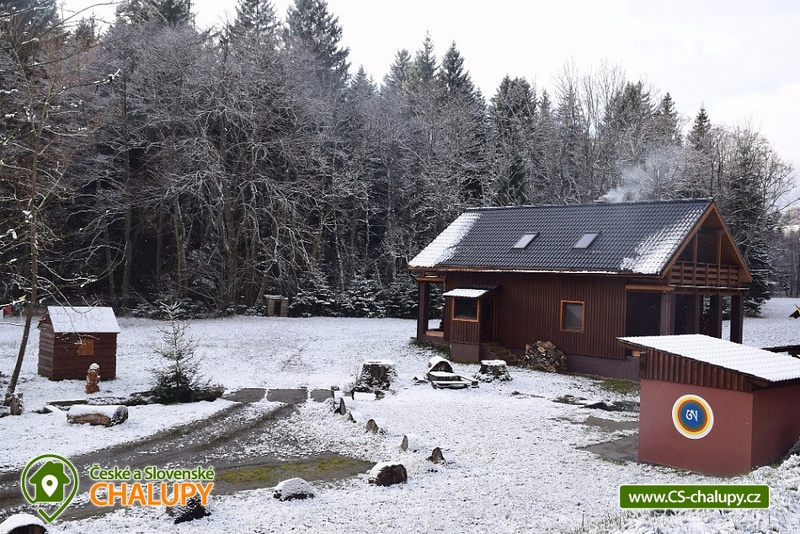 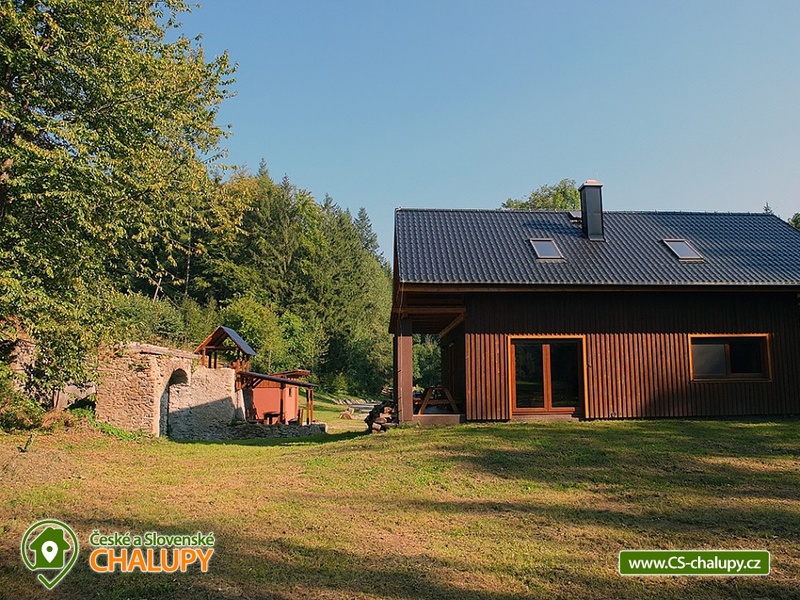 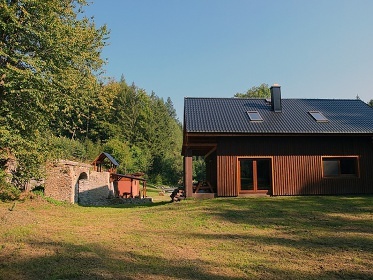 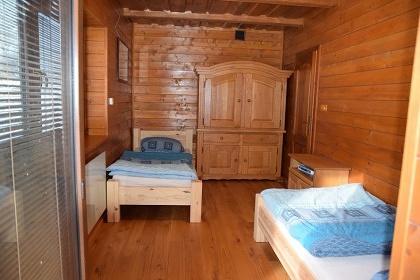 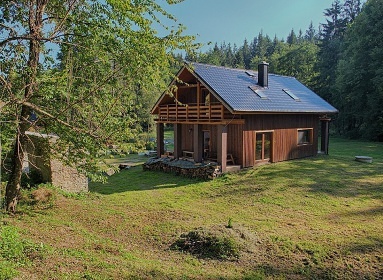 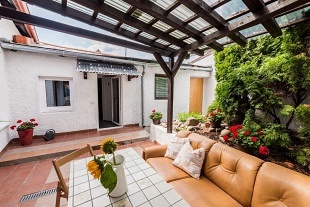 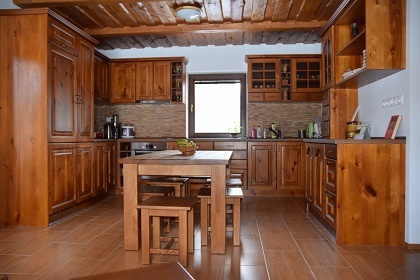 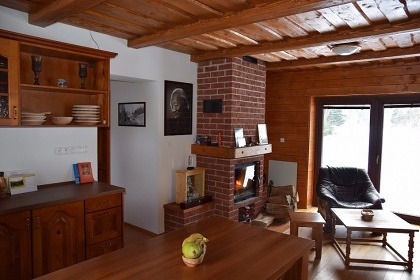 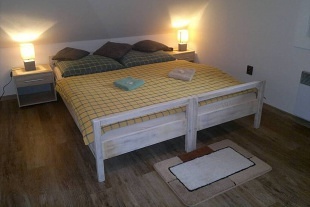 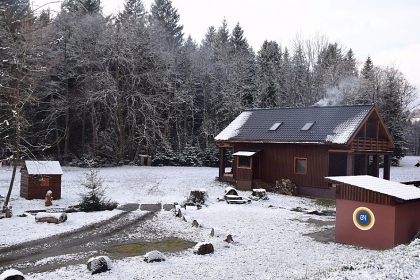 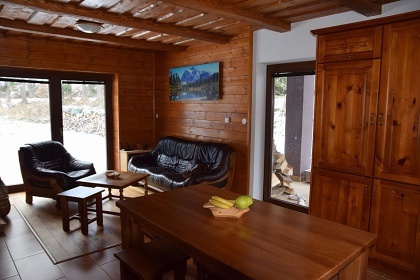 We offer quiet and comfortable accommodation in a brand new cottage, located in Pošumaví in the Rajské Valley between Nemilkov and Čachrov. 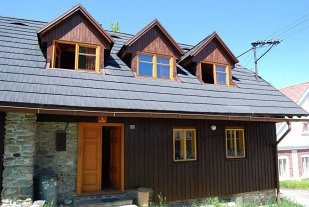 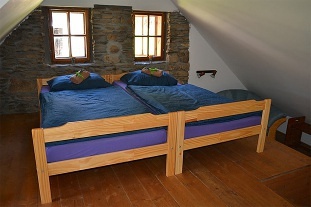 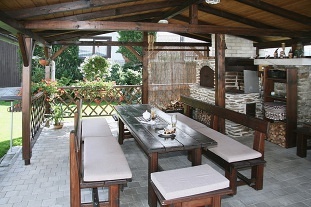 The cottage for rent provides accommodation for 6 persons in 3 bedrooms. 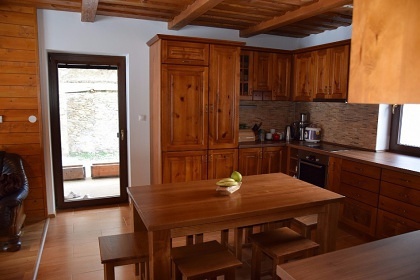 There are 3 double bedrooms, a living room with a luxury kitchen and a dining table from the massif. 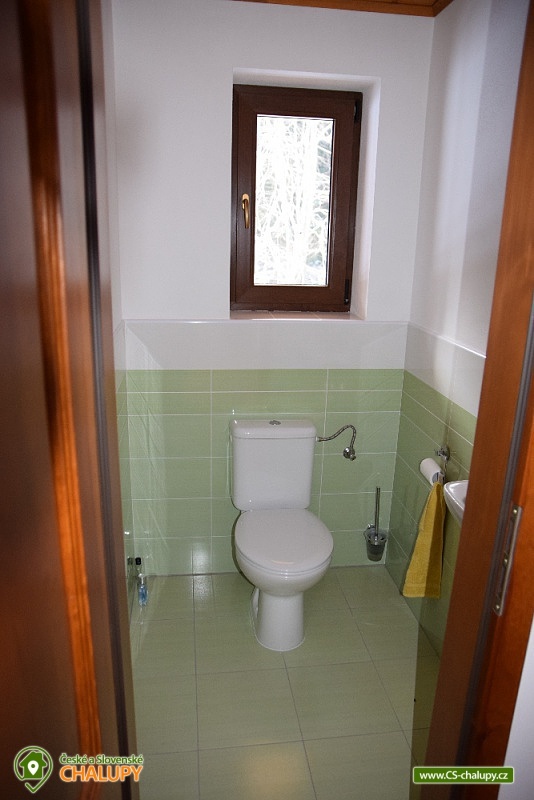 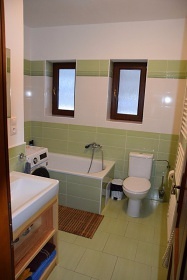 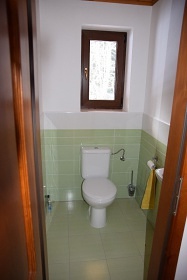 In the cottage there is a bathroom with a bathtub and two toilets. 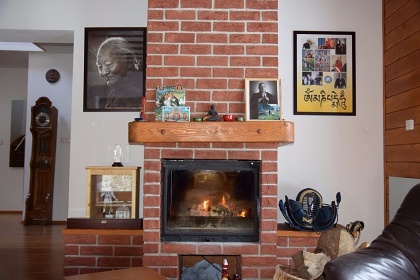 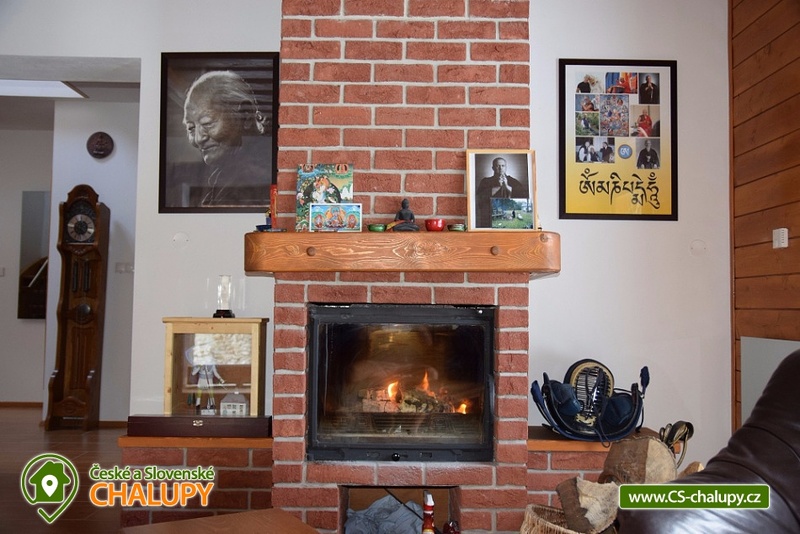 On cold days you can use the infrared heating on the electricity and the fireplace. 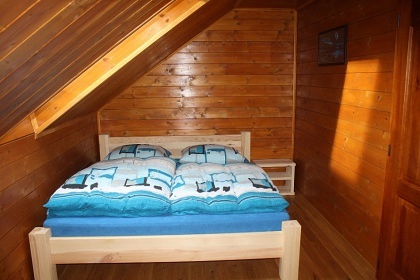 The cottage is equipped very comfortably. 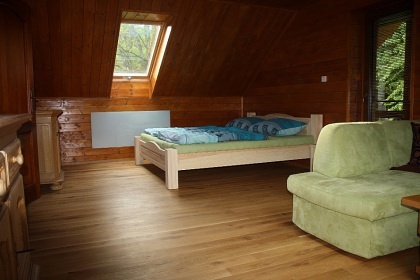 The floor is made of oak planks. 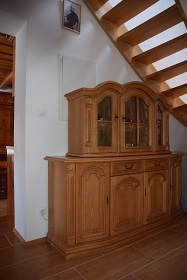 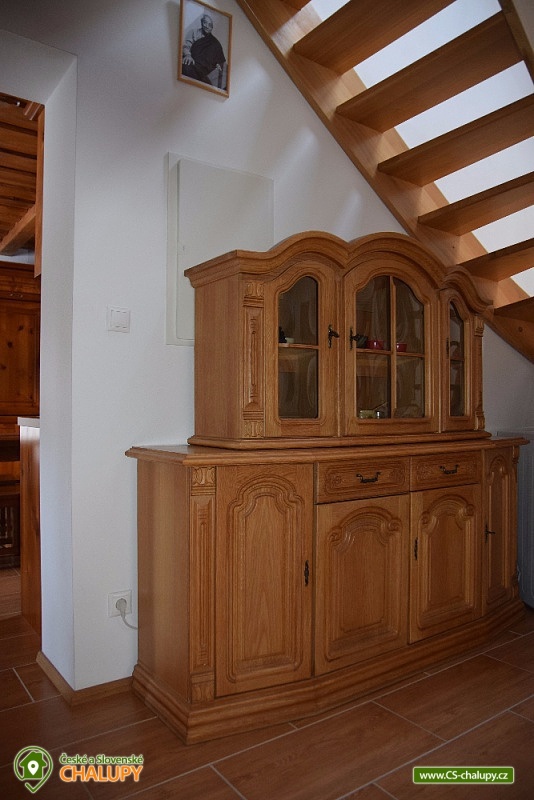 Furniture, doors, kitchens, stairs, etc. 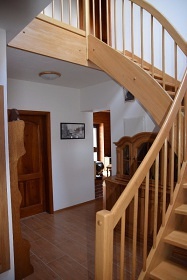 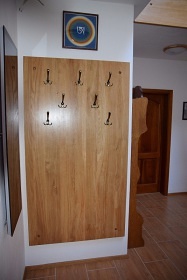 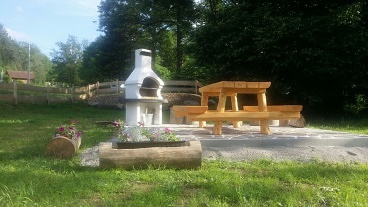 are all made of solid wood, made by local carpenters. 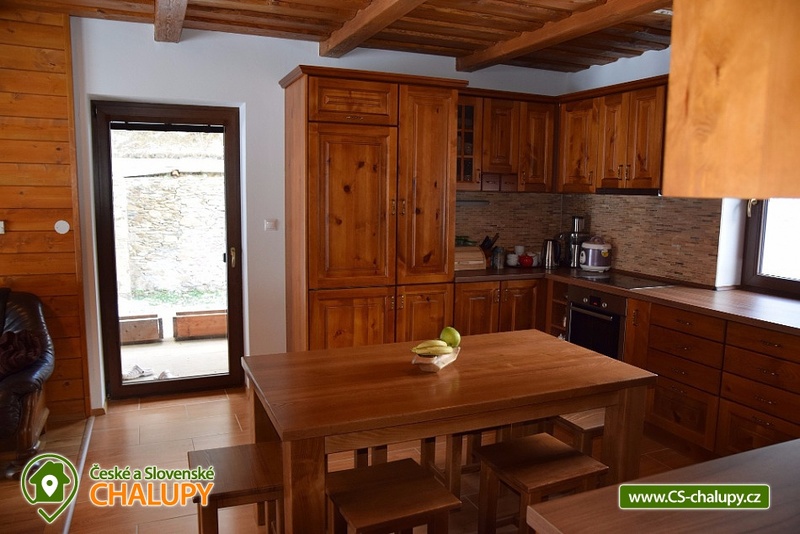 The cottage is surrounded by 18,000 m2 of land, a stream, a lake and a waterfall that belongs to the property and is fully accommodated. 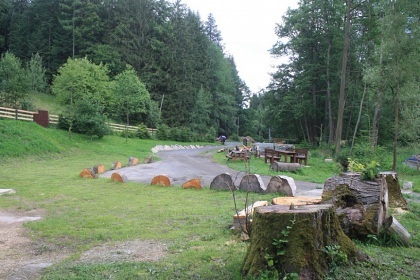 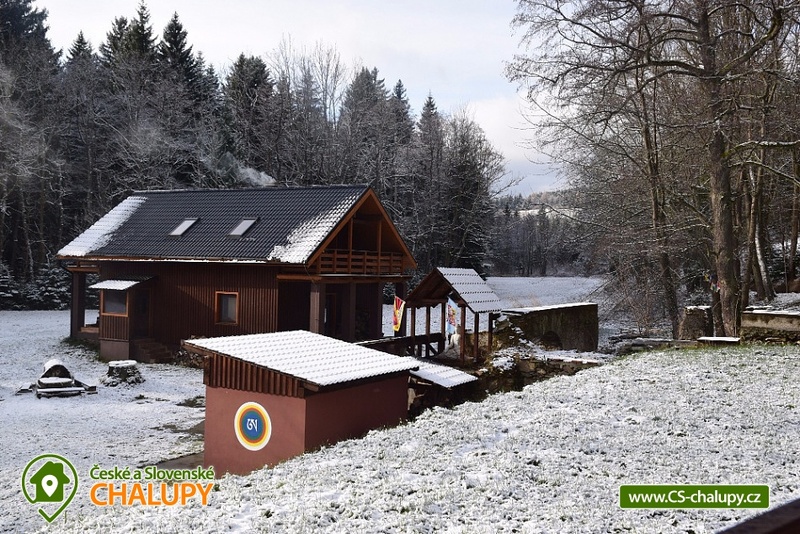 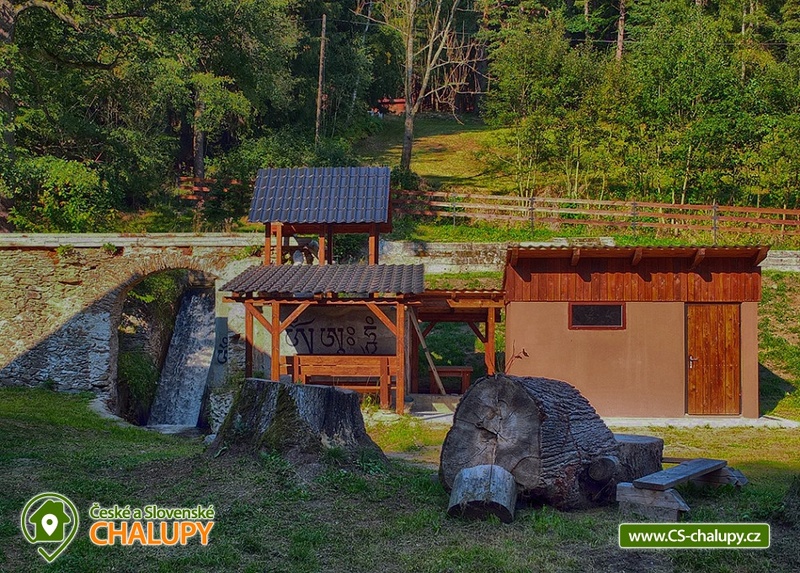 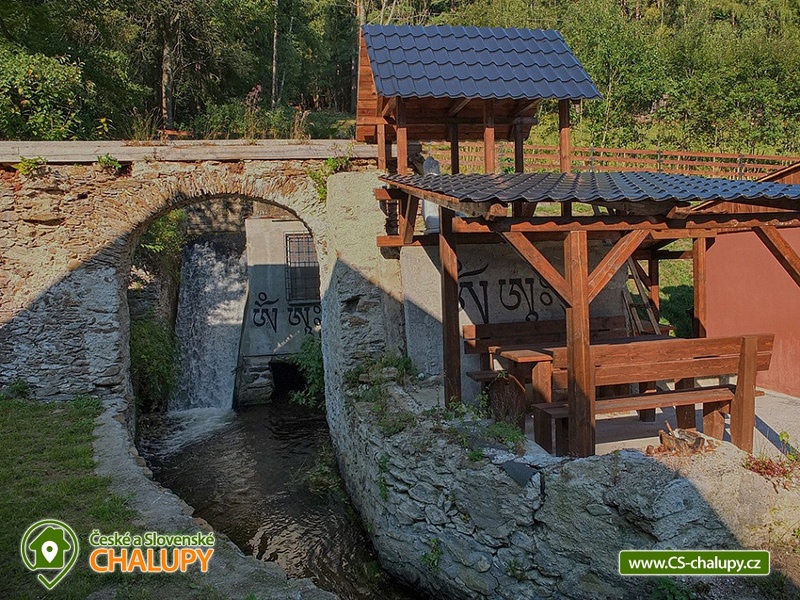 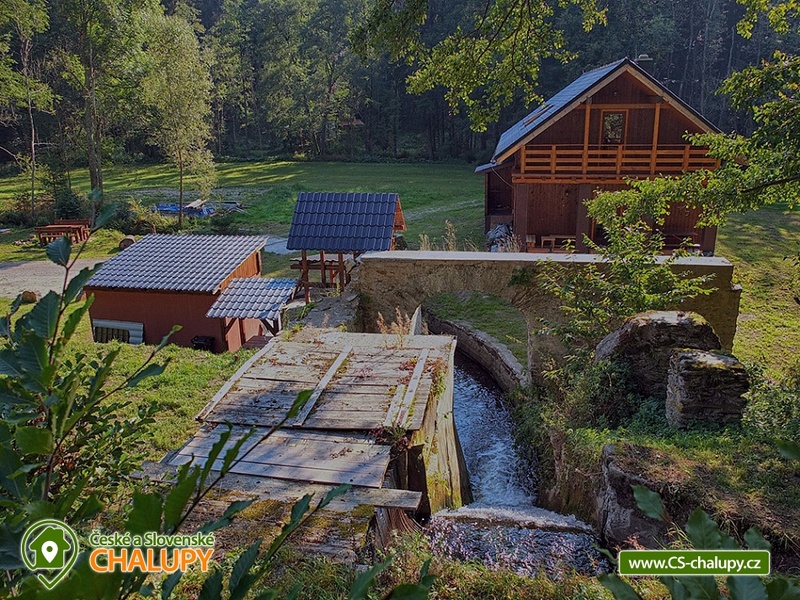 If you want to experience the true energy of the Šumava and its atmosphere, relax from everyday stereotypical days, peace and harmony - here you will be in the right place. 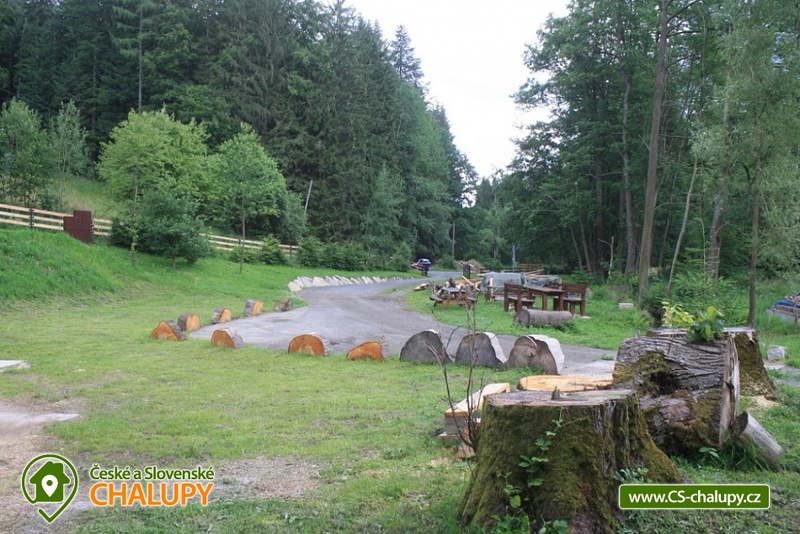 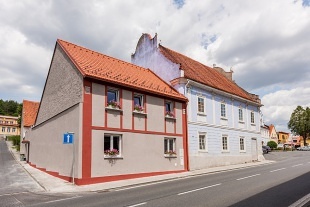 Recommended restaurants nearby: U Štěpán's pub, restaurant The Castle Brewery in the Velhartice Castle Complex and restaurant under the Svatobor viewing tower. 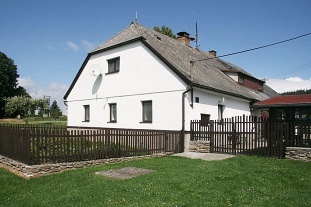 Rent cottage Rajské údolí - Běšiny - Rajské. 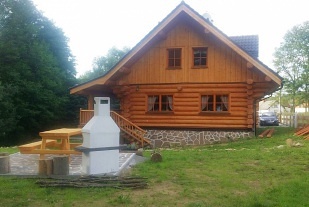 Accommodation comfortable cottage Rajské údolí, locality Nemilkov and Čachrov. 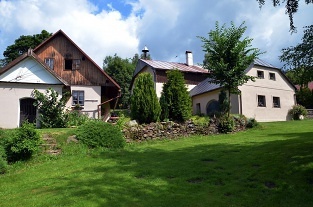 Cottage for rent Šumava. 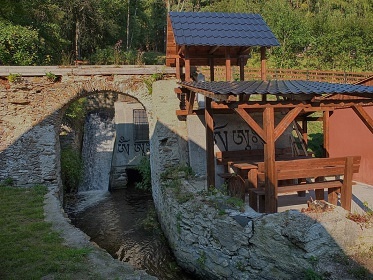 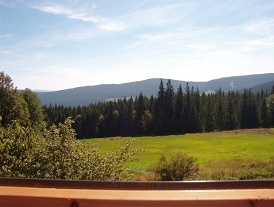 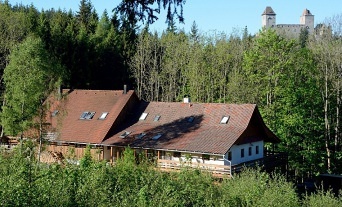 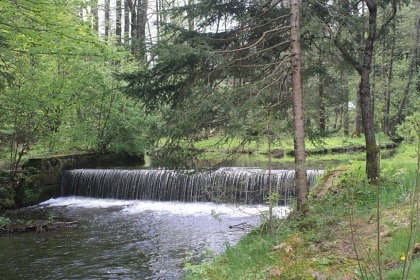 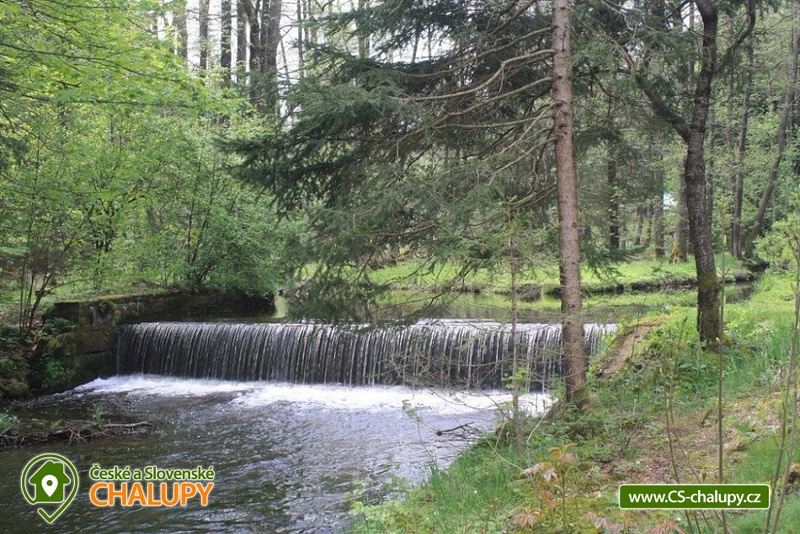 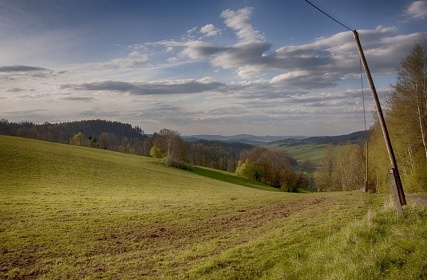 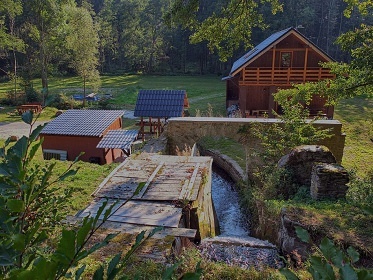 Local streams through the stream of Ostružná and 100 m above the house can be seen the beautiful panorama of the Šumava Hills. 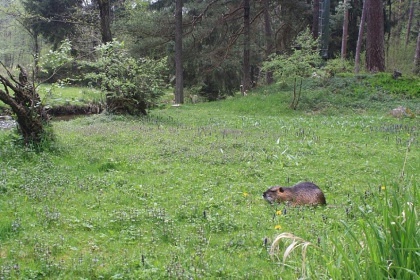 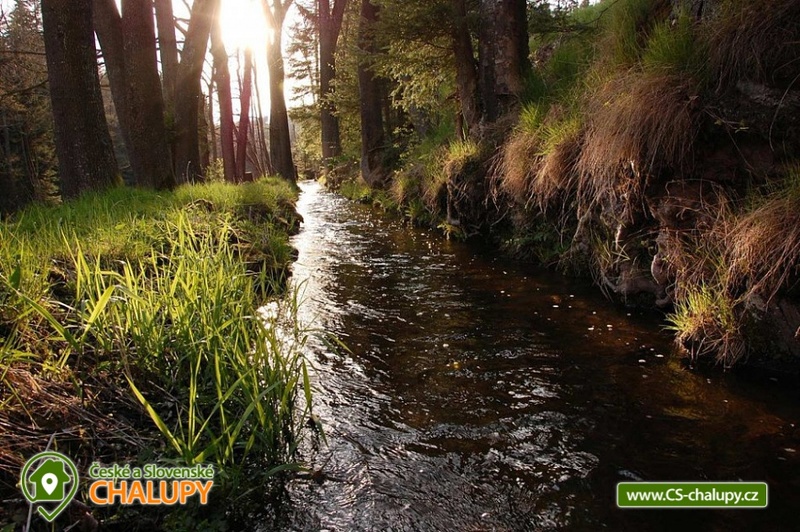 The Paradise Valley offers a true experience of pure nature and wildlife observation. 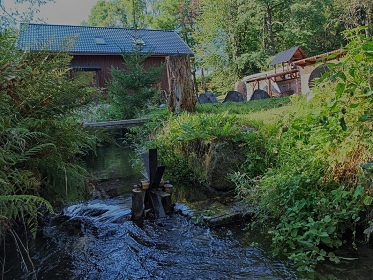 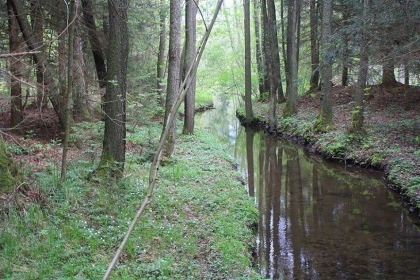 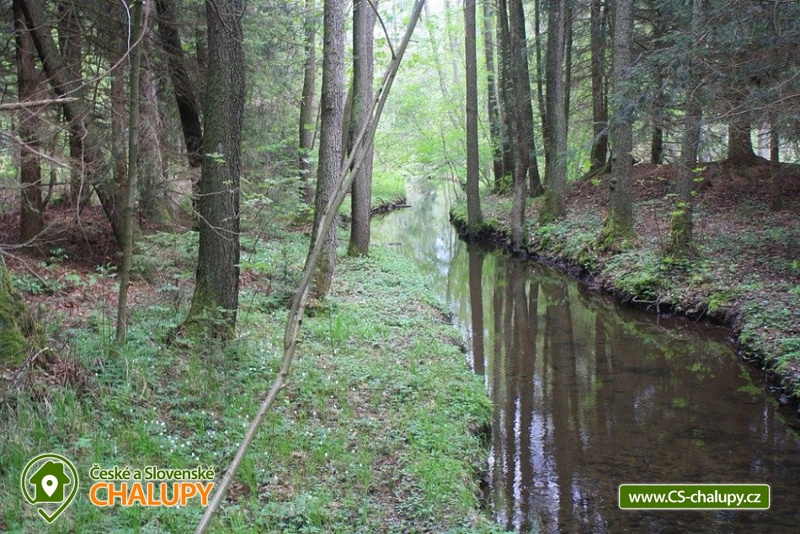 The water in the creek is crystal clear - proof is the living rare fish Vranka obecná. 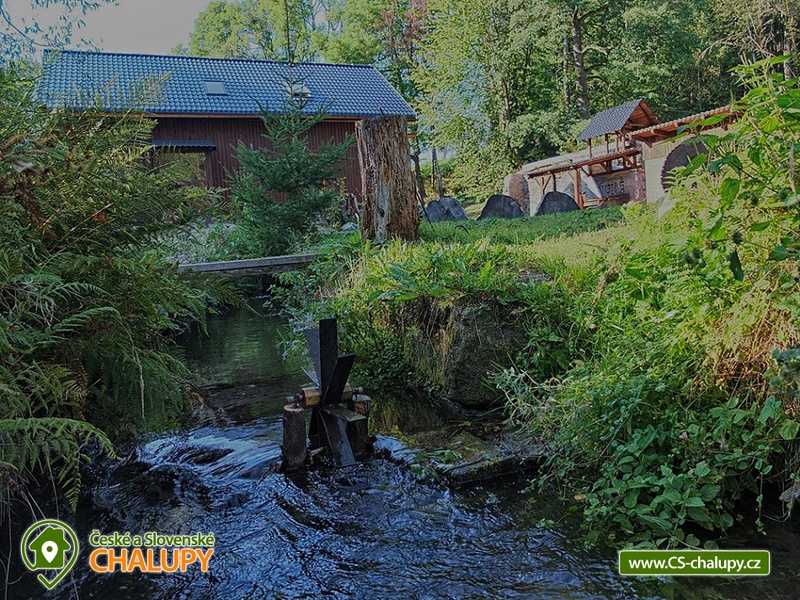 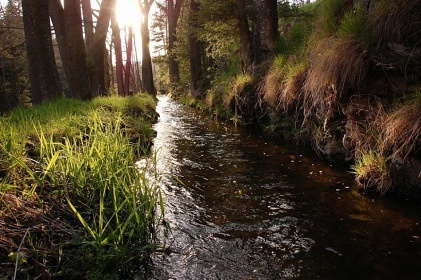 From the cottage you can go by foot or by bicycle to ride a stream and rocks and connect to Werich's trail, which starts at the famous Karla Titla carver and ends at Werich's cottage. 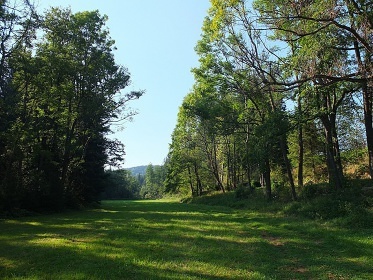 Eventually you can stop by the Velhartice Castle, where Charles IV was playing. 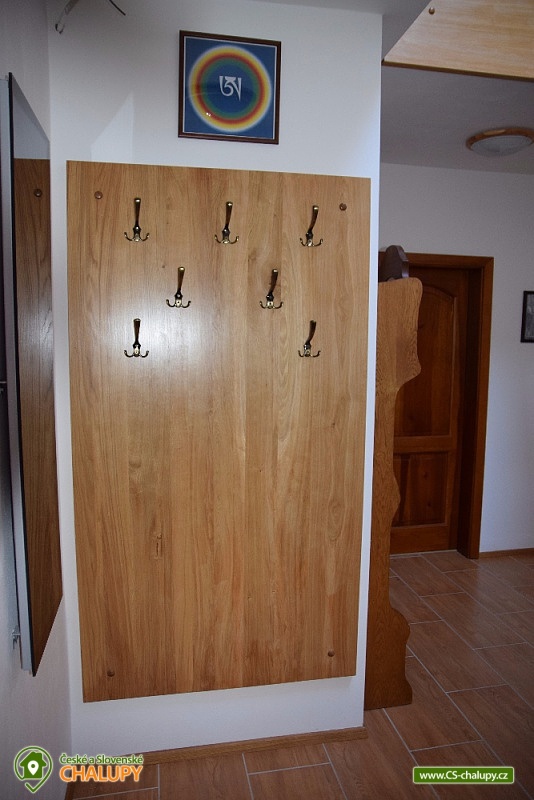 with Buck of Chess. 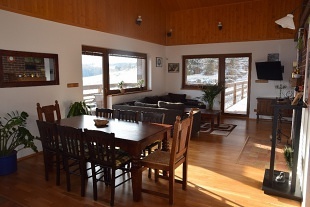 Nearby ski resorts: Železná Ruda - Špičák, Javorná, Kocourov. 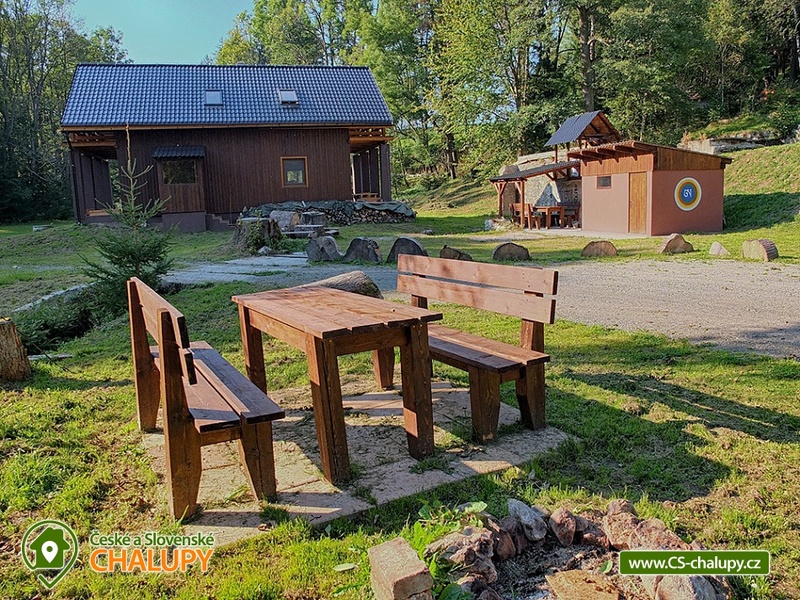 Nearby bathing possibilities include the Bušek pond, the swimming pool Petrovice u Sušice, the Biokot Mokrouš, the Valcha pond, the swimming pool Nýrsko, the swimming pool Sušice, the Sušice aquapark and the Klatovy pool. 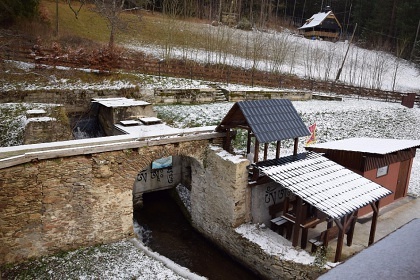 NEW YEAR'S EVE Object / week 30 000 Kč 0 0 Pouze rodinam ci paru. 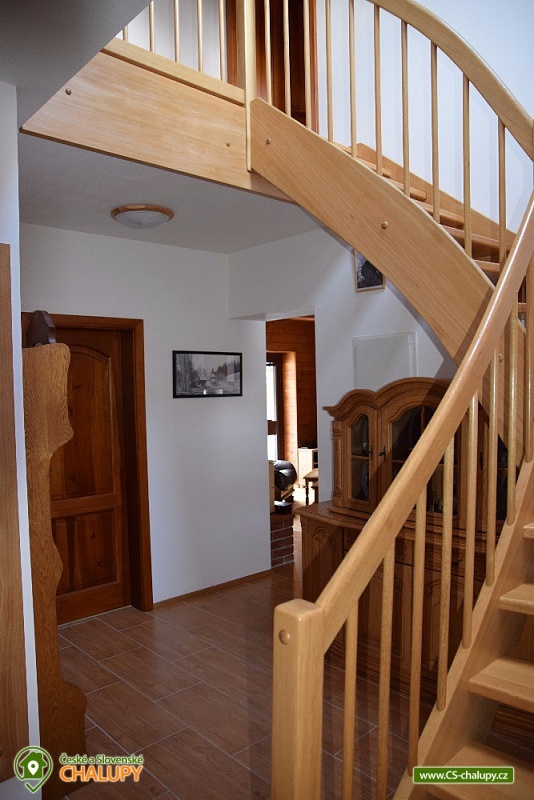 Christmas Object / stay 20 000 Kč 0 0 Pobyt na 4 noci. 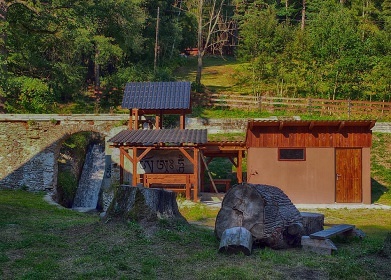 Pouze rodinam ci paru. 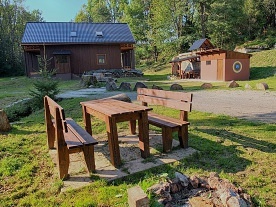 Additional information Pokud je to možné, upřednostňuji komunikaci (dotazy, poptávky, objednávky) emailem. Additional information Úhrada spotřebovaného dřeva dle skutečné spotřeby (1200 Kč/m).